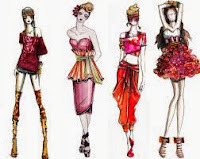 Diploma in Fashion Design 6 months course offers by London College of Higher Studies (Pvt) Ltd.
Introduction to fashion and textiles. Fashion show with the final outfits. London College of Higher Studies (Pvt) Ltd.